Today we are glad to share with you a watercolor brush set. The pack contains 50 high-resolution brushes, that are perfect when applied on paper textures. Anyway, there are infinite ways to use this kind of brushes, so…enjoy them! 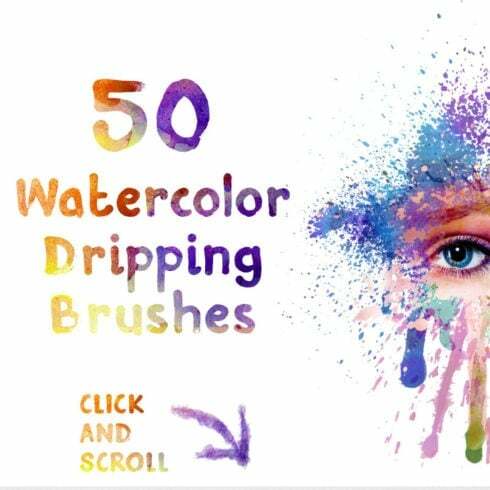 Define a 50 Free Watercolor Dripping Brushes deal? If you’re a web graphic designer taking care of several assignments at the same time, you, like no other people, understand the need for the whole package of design elements at hand. Hunting for those elements separately, you spend whole lot more time and expense . To obtain all of the desired elements in a single package, we advocate taking a closer look at graphic bundles. A bundle is a assortment of digital components needed for graphic design, priced at a large amount of money, however sold at a significantly reduced price for a short time. 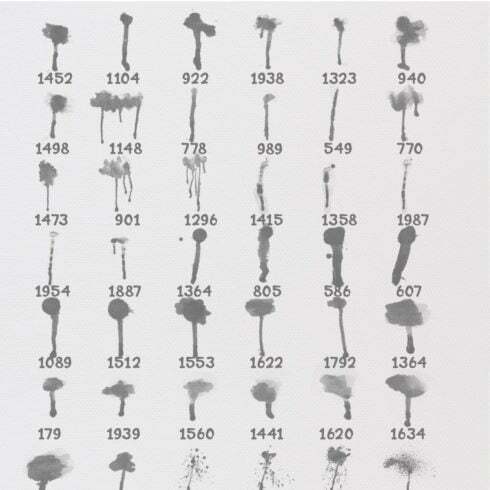 For what reason are 50 Free Watercolor Dripping Brushes cost-effective? The benefits of graphic package deals for web designers are usually pretty obvious. But if you are a newcomer to those elements and still have doubts, the subsequent information and facts will probably be of great help for you. Including a multitude of the elements within a single package, the selection gives you an opportunity to use several of them for many different tasks. Besides, the cost is typically cut down tremendously which lets you save some cash, yet receive the entire set worth hundreds of dollars. Due to the fact each of the bundle deals are different from one to another, every web designer will find the appropriate collection for a specific venture. Researching them you’ll discover the collections including social media infographics, PPT templates, business cards, UI kits, plus much more. At MasterBundles.com , there are in excess of 450 graphic deals from which to choose. The best way to save a whole lot more funds on MasterBundles.com 50 Free Watercolor Dripping Brushes? There’s a way to make the MasterBundles products more affordable. I know bundles are already affordable, but there is still some place to save. Just share this page in social networks – you automatically receive the 5% discount for any of the graphic bundles you prefer. That is a very easy way of getting a professionally created tools for less money. Aside from graphic design packages, you’ll find a massive number of alternative collections on MasterBundles. The deals of logo templates, icons, patterns and fonts are out there for your use. They provide almost endless possibilities for the design of various web projects. Furthermore, you may find the full deals of WP templates, training and ebooks, resume templates, slides, and other elements. MasterBundles is a website that gathers top design products from over the internet and lets you purchase the design components you need in your work for a cheaper price .. Bundles this site markets are restricted in time, and that is the reason they are so low-cost. MasterBundles.com boasts a big blog with the unique design news and features described. Should you be searching for a useful website packed with excellent offers – MasterBundles.com is just for you!